Well, I'm getting closer to putting the Smartgun together. Does any one have any idea what the IR box was made from? Was it custom or was just a project box? Also does anyone notice the cylinder under the bottom, near the steady cam mount. It hangs down about 2" and is about 1-3/4" wide. Any help would be great! Post subject: Re: Smartgun parts question.. This is the shape I came up with after looking at the extra features on the quadrilogy box set i.e I don't think it's a simple box. re: the "cylinder" - are you referring to the battery pack that plugs in-line to the cable harness? No, It looks like something else wider. Not realy the same shape as the battery. 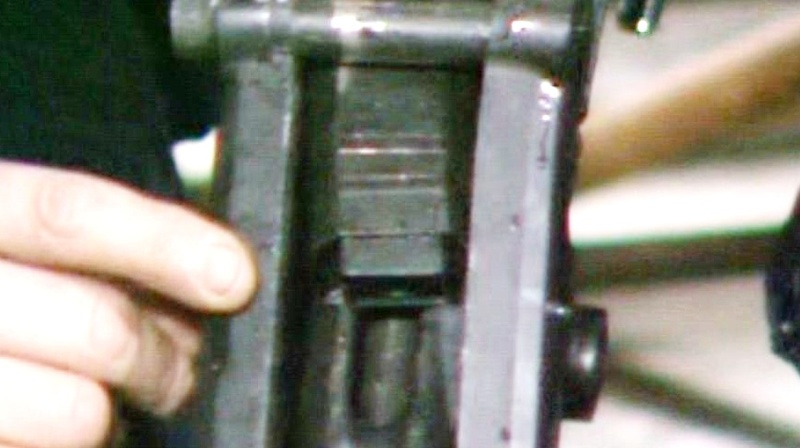 The cylinder below the smartgun is most likely the weight that was added to get the steadicam arm working correctly. It is located exactly below the arm-gun connection point. The MG42 alone was not heavy enough to replace a movie camera and so they had to add this. After holding Oz's full metal SG at the NSC i'd say the gun was more than heavy enough to make the arm work properly.I'd say the weight was added to balance the gun rather than make it heavier.